Being a celebrant is such a privilege for so many reasons. I get to witness some of life’s true and genuine moments of love, laughter, joy, excitement, inspiration and even sadness. But it is an honour to be invited into other’s lives to navigate them through these emotions. The part of my job that I love the most is meeting with clients and listening to their stories, memories, dreams and plans. It is all the behind the scenes information that I receive from my clients that allows me to write the perfect ceremony for their occasion. Allowing your guests to hear how you first met, what happened on your first date, how your parents took the news that you were engaged, how your husband of 25 years has bought you your favourite flowers for every anniversary or the joy you first felt when the doctor said you were having TWINS! Yet on the other hand…..for a funeral ceremony….it is just as important to hear all the stories of that loved ones life…..their childhood, their mischievous ways as a teenager, how they were passionate about doing up old cars and how they were the best dad a daughter could ever ask for. Being a celebrant allows me to put all these stories and memories together to create a ceremony with a true connection to my audience. Each and every ceremony is a celebration in it’s own right…..I look forward to meeting you! 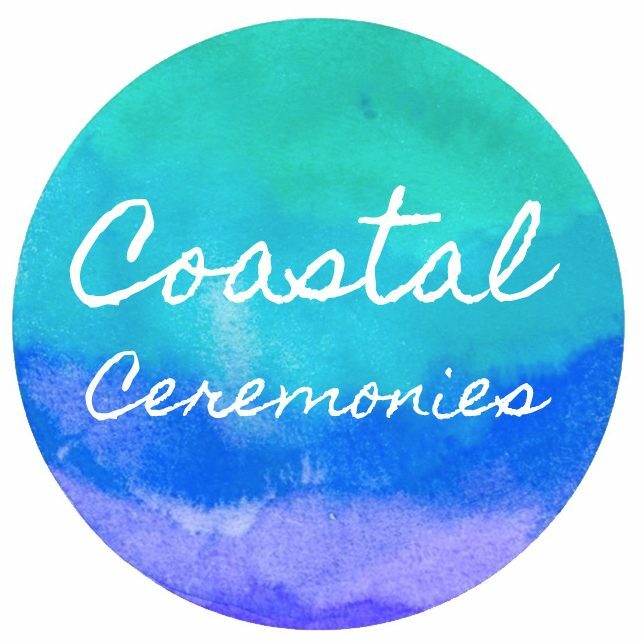 Listen to ‘The South Coast Wedding Podcast’ to hear how I will create your seamless ceremony and take all the worry out of it for you.